The first thing you need to know about helmets is your size. Most websites have a size chart that will guide you on the specific measurements of each helmets sizing scales but personally I think nothing replaces going for a good old try on, so find where your nearest store is that stocks a few different helmets & go try on. Great stores in London to go some great helmets to try & buy are: BOLT in Hackney & URBAN RIDER in Fulham. Here I've listed both our favourite ECE & DOT helmets for you to see the difference in shape & style compared to the ECE ones (and for anyone reading from the US where you can wear those babies no problems!). One of the best looking full faces on the market the Biltwell gringo is a massive fave of ours & of many of the lady riders in the U.S. The gringo is retro styled but with new tech & to top it off its a great price. One slight down side to this helmet, apart from the fact that it only comes in DOT spec currently, is that some people complain its face opening is a little small making your view of the road a little restricted (but then everyone is different). One thing to watch out for is the older models come without an inbuilt face shield (you can buy the snap on face shields from biltwell or goggles will go well on this lid too) where as the newer models come with a built on face shield that moves up and down (unlike a snap on face shield) . 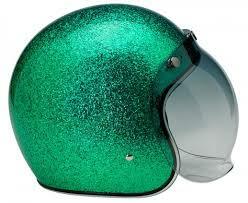 Either way this is a great helmet that comes in loads of different colours & looks.. See our faves below. The Bullitt is BELL's offering into the full face, retro styles market following the Biltwell gringo & the Ruby Castel & is priced between the two. Great features are the removable flip down visor & the great standard colour options. The shape of the helmet profile & the size of the narrow chin piece at the bottom are a bit of an opinion divider at the VC but at the price this helmet is a great helmet if you want the ECE tag & retro styling. Taking a few styling tips from the legendary BELL moto3 the racer is our favourite style from the guys at DMD. We love the retro curved front face shape & with the additional snap on visor it looks incredible. The only downside to this lid is if you're wanting a crazy colour for your helmet this one only comes in black or white for now. Could be an amazing base for a custom paint job though! Based in Paris Ateliers Ruby were at the forefront of the wave of the retro styles helmet wave. The Castel was their best contender. Made from carbon fibre this helmet is incredibly light & came in more bespoke colour & styling options thank you can shake a stick at. The down sides to this helmet were the price (around £750 for the starter model ) & some people felt that compared to other carbon fibre models from Arai & Shoei this one didn't compare. Unfortunately Ateliers Ruby went out of business last year making these babies quite hard to get your mitts on now but if you can manage to track down some of the last stock of this incredible helemet you won't be disappointed. 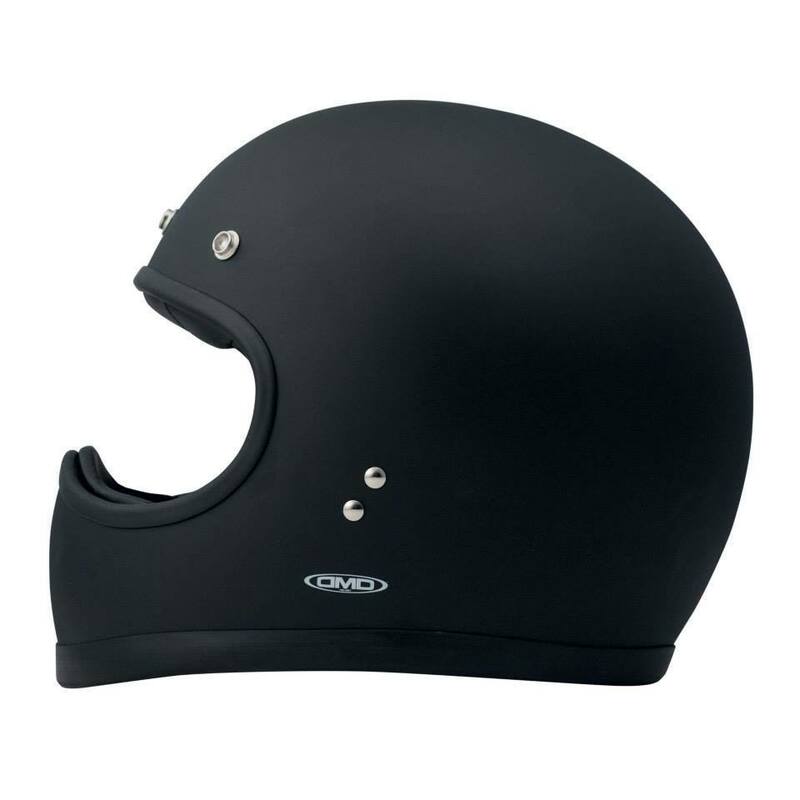 The classic bell custom 500 helmet is an institution when it come to open face helmets . It was the first helmet shape that BELL ever designed & hasn't changed much shape wise in 60 years making it one of the lowest profile open faces on the market (which is why its one of our faves for open face helmets). Last year BELL brought out its newest range of this style with a new EU standard (yey!) after coming in only DOT for many years with some good new colours like blue glitter flake & new black rubber trim (although nothing beats the classic black gloss for a base to have custom work done or add stickers to in our opinion). Relative newbys to the Helmet game Hedon are a small London based company fast becoming popular with their Hedonist open face helmet. With great shape profile wise, a massive focus on comfort & some amazing colour options (mint green with rose gold coloured metal trims anyone?) this a beautiful helmet with a lot of class. The price does top out on the scale with the other open face options but these helmets are super individual with incredible luxe attention to detail design wise making them totally worth every penny. As the Biltwell contender against the BELL custom 500, the Bonanza comes in a massive range of colours & is often a go to for a base for custom helmet painters in the U.S. (as its DOT only). The profile is slightly bigger & higher than the BELL 500 in our experience but the range of colours more than make this a worthwhile open face contender. We also love love love the silver flake version. All images from Google, Bell, DMD, Hedon, Biltwell & Ateliers Ruby.